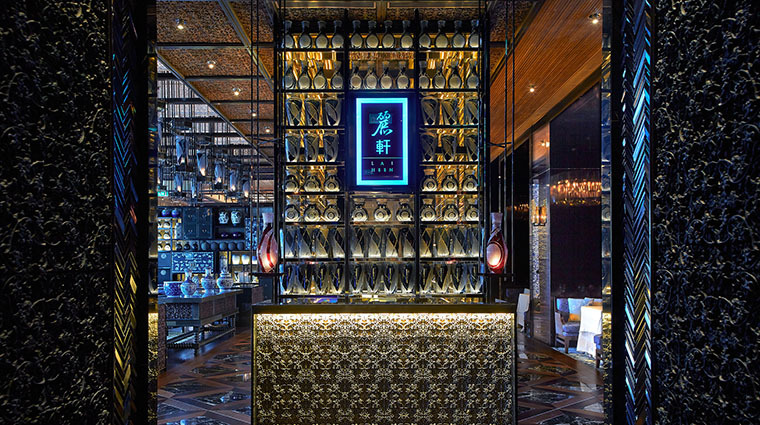 The highest Chinese restaurant in Macau lives up to its lofty location — Lai Heen, residing on the 51st floor of the recently opened The Ritz-Carlton, Macau, serves elevated (literally) Cantonese food in a dreamlike space adjacent to the hotel’s lobby and intimate bar and lounge. 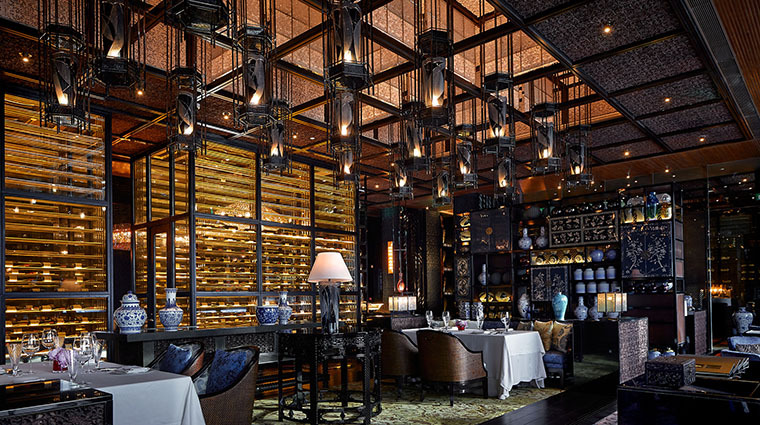 The restaurant's attention to detail begins with décor featuring impressive hand-carvings and contemporary artwork, and continues with delightful dim sum and Chinese delicacies. This is Cantonese cuisine at the top of its game — beautiful presentations, balanced flavors and unusual ingredient combinations. The Macau restaurant uses premium ingredients and seasonal produce, meaning the dishes might change a bit on each visit depending on what’s fresh at that time of year. An all-glass wine room holds hundreds of premium vintages, many from the Bordeaux and Burgundy regions of France, as well as several lesser-known bottles from Portugal as a nod to Macau’s history. Tea enthusiasts or dim sum diners may want to ask the tea master to recommend something from a long list of premium aged pu-erh blends for an authentic Cantonese dining experience. Though pairing wine with Cantonese food may not come naturally to even the most erudite oenophile, there is an incredibly knowledgeable sommelier on hand to suggest complementary flavor profiles. After dinner, make your way over to The Ritz-Carlton Bar & Lounge where you can choose a premium gin and tonic from the old-school gin trolley while listening to a live jazz performance. The Macau restaurant is open for lunch and dinner daily. Careful craftsmanship is evident in even the tiniest of dim sum delights, such as dumplings shaped like pears or lobster-and-pork dumplings topped in gold flakes. Inventive chef’s creations include steamed crab claw with egg white lobster bisque, melt-in-your-mouth braised pork belly with preserved vegetables, and char-grilled barbecued Iberico pork. No matter when you visit, though, don’t leave without trying the salty and spicy house-made XO chili sauce. Bottles of the seafood sauce are available for sale in case you care to take some home as a souvenir or gift — just ask the server. Lai Heen shares the ultra-high ceilings of the gleaming hotel’s lobby, but the vibe changes as you transition from the polished, white marble lobby and enter the dark, moody interiors of the Cantonese restaurant. Tall pillars carved with ornate details are juxtaposed with reflective mirrors, and water features create a dramatic entrance that pays tribute to Macau’s mixed Chinese and Portuguese heritage. Upon closer inspection, it appears that almost every surface is covered in hand-carved details. Avant-garde artwork and re-imagined antiques — think shattered Portuguese pottery reconstructed into a classic Chinese vase — create an elegant yet unique atmosphere. There are several types of seating areas, including a chinoiserie-chic lounge area with plush couches, side tables overlooking the skyline, semi-private alcoves with circular tables and dramatic chandeliers, a cigar lounge, and five impressive private rooms named after precious gemstones (Amber, Gold, Jade, Lapis Lazuli and Pearl).